Uploading an SRT file to your Vimeo video. Log in to Vimeo and navigate to the “My Videos” section of the top bar menu. In the Video Settings menu, click “Advanced”. You should see the screen picturedbelow. To watch your video with the new captions click the “CC” icon in the Vimeo player. 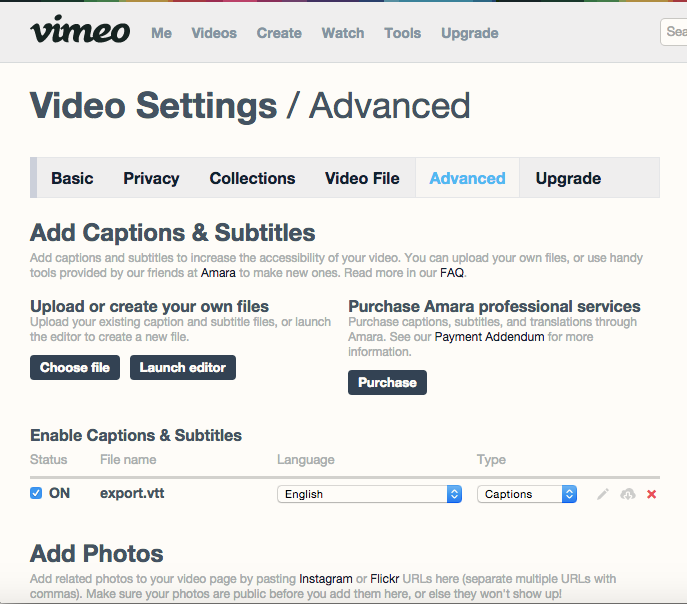 Check out: How to upload close captions to You Tube, Facebook and Vimeo.